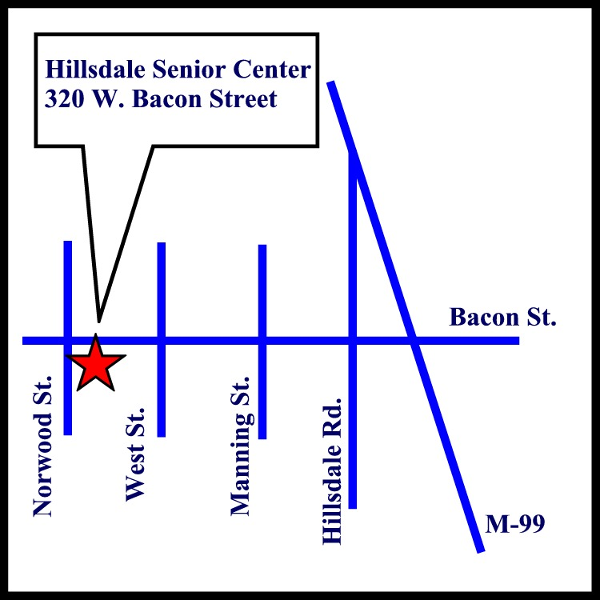 We meet every Tuesday from 7:00 pm to 9:15 pm at the Hillsdale Perennial Park Senior Center located at 320 W. Bacon Street in Hillsdale, Michigan. For directions see the map below or click here. Each week we produce a News and Agenda document (see esamples at the right), so chorus members know what songs to prepare for prior to rehearsal. We provide audio learning tracks for most songs, and for all four parts. You can download these learnig tracks on your favorite device, and listen to them to help you learn a song. COME SING WITH US !! It is "close harmony", meaning that the notes sung by the four parts, unlike traditional choral music, are placed very close together.